into super cute over-the-chair Easter bags. This was super easy, cheap and fast. 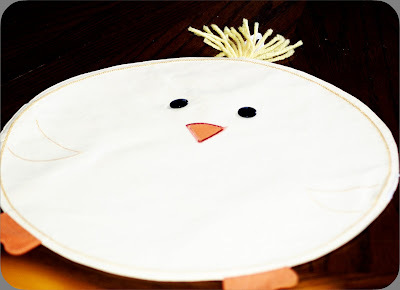 Even if you don't have the animal shaped place mats, these would still be easy to make. I just Found some matching fabric from my stash and made a back and the two straps. Measured the straps to make sure they were long enough to fit my dining chairs. I used heavy fusible web for stability in the back piecing and straps. 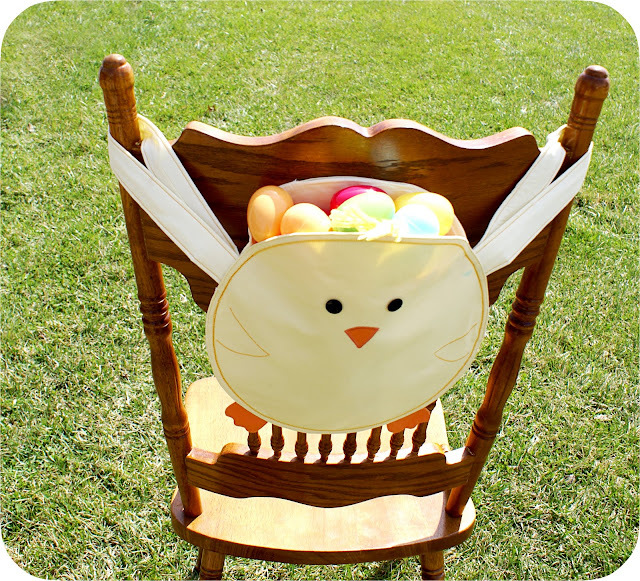 Left the top open and filled with Easter goodies for my kiddos. Love this. Maybe include a tutorial for those of us who do not have a round placemat??? Um... this is GENIUS!!!! LOVE it! NEED it!!! Oh my goodness- adorable! Love it. 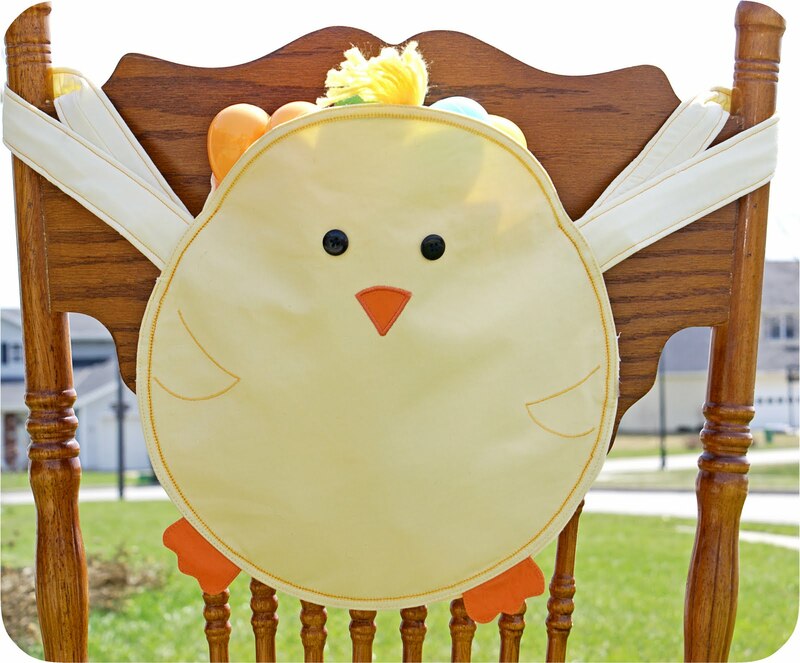 These Easter chick chair bags are the cutest! I am doing a mini feature this afternoon and sending my readers over! Denise, Thanks so much for finding me and for sharing! =) Just checked your blog out and I love it!! I am a Florida girl myself!